Following last week’s run-out against Preston Grasshoppers, yesterday’s match had a more local feel as we took on a Clifton side with a few familiar faces on board. With game time an important factor across the squad, there were substantial changes from the last fixture, with only four players – all in the pack – getting a second start. The largely young side was led by last season’s BUCS skipper, Sebastian Negri (pictured), who recovered from a long-term bicep injury to pick up two full Italian international caps over the summer. The game itself started brightly and Hartpury were four tries to the good at the break, two a direct result of power in the forwards but also with a sharp long-range effort from Maliq Holden, from full-back, and a great team try finished by Negri from an off-load by debutant Gift Sankoh. The match deteriorated as a spectacle after the break, in no small part due to some over-fussy and occasionally confusing officiating. Hartpury will be pleased to have collected three further tries, including impressive efforts from Boulton and Cochrane, but less happy to have been put under some pressure at the scrum and to have lost their compass slightly at the line-out. Clifton were highly competitive throughout the match and were good value for two tries of their own, scoring late in either half. 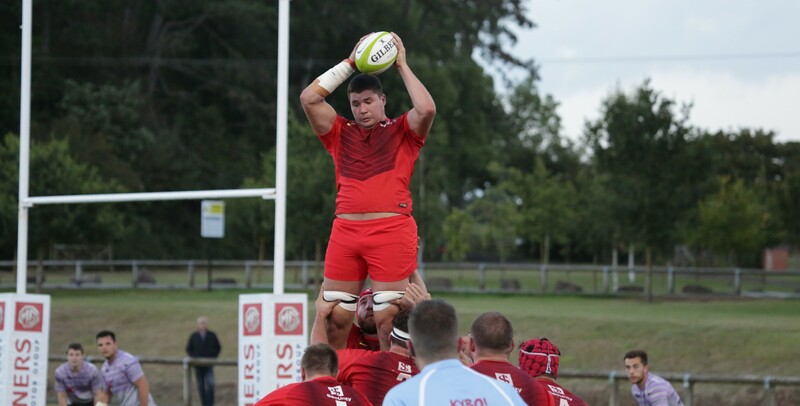 The final result of 43-14 means that Hartpury have topped 100 points in two pre-season matches so far, while the breadth of players used, including a number of new squad members, promises much for the BUCS in the coming inaugural national universities premier league, as well as for our prospects in SSE National One. That season kicks off in two weeks with a home fixture versus Blackheath (Saturday 3rd September, 2.30pm) prior to which Hartpury can expect a thorough examination of their credentials when we visit Championship outfit Ealing Trailfinders next Saturday.